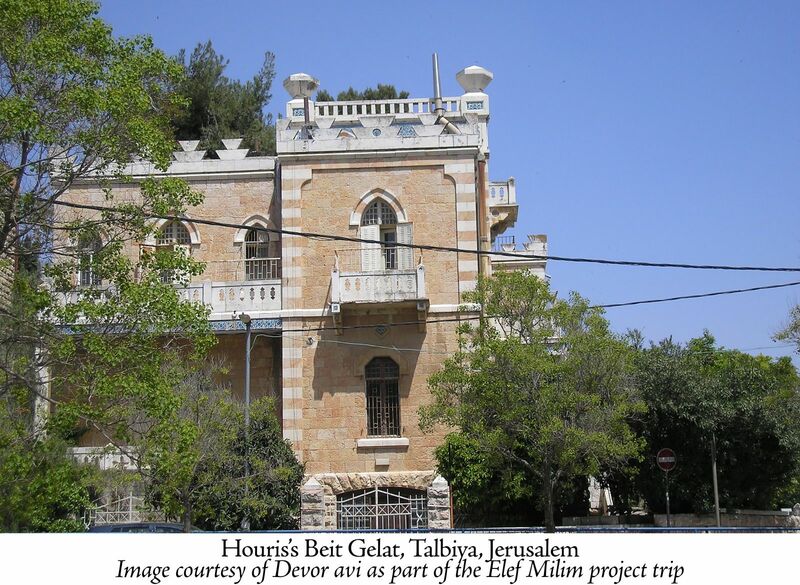 n Jerusalem, so overburdened with symbols, architecture too becomes a form of interpretation. 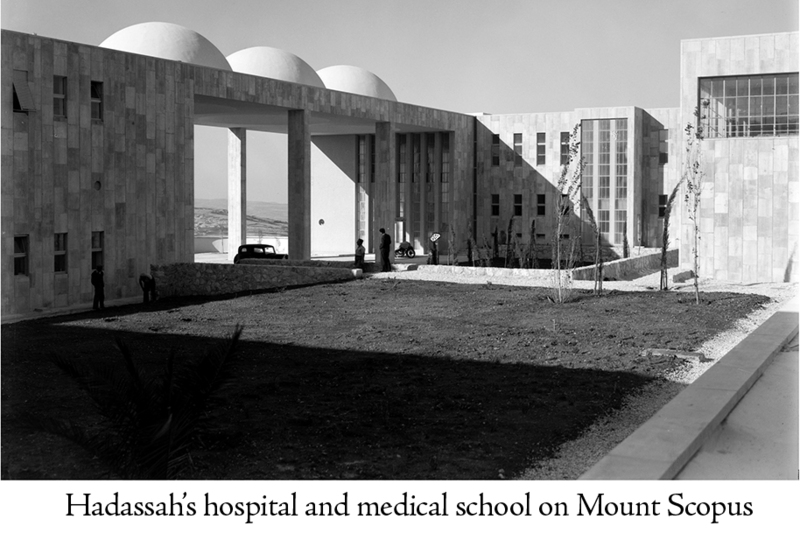 This theme suffuses Adina Hoffman’s artful new book, “an excavation in search of the traces of three Jerusalems,” as she calls it, “and the singular builders who envisioned them.” Her excavation dusts off three twentieth-century architects—Jewish, British, and Arab—who transformed the city between 1920 and 1948, the years of British colonial rule. Hoffman’s second subject, a reclusive and self-deprecating British expatriate named Austen Harrison, held rather different ideas about the Jewish national home. 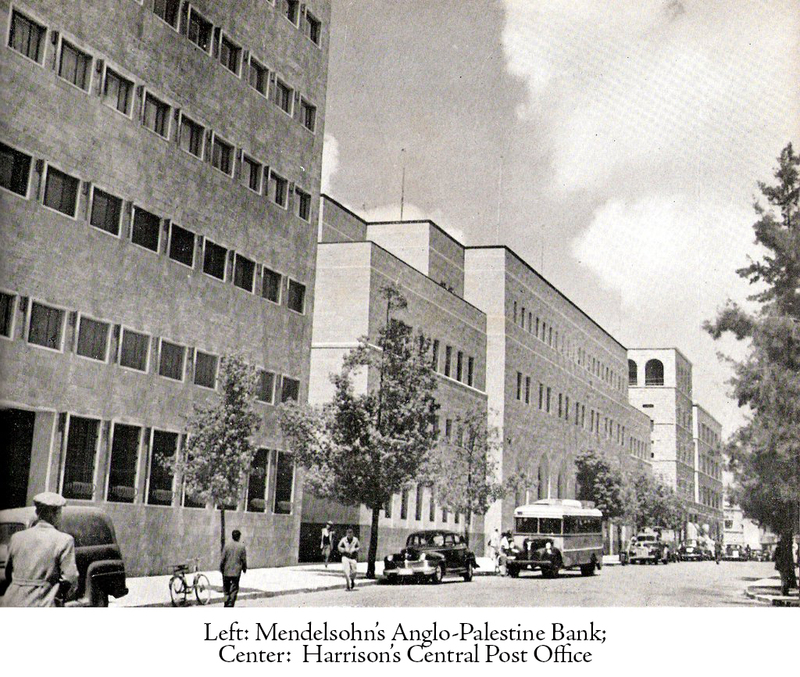 In a letter to friend in Israel in the 1950s, Harrison wrote: “You Jews entered Palestine under the wrong auspices—as westerners instead as of orientals.” As the “house architect” of the British Mandate, and as the author of the final chapter in the history of British colonial architecture, Harrison believed that a building must “avoid flouting local tradition.” That conviction informed the syncretic but restrained style evident to this day in the three buildings he gave to Jerusalem: the central post office, with its generous volumes and stately proportions; the introverted Rockefeller Museum with its octagonal tower overlooking the Old City walls from the north; and the official residence of the British High Commissioner, perched atop the Hill of Evil Counsel, with a commanding view of the Old City from the south. These ambitious authors of the cityscape each attempted to juxtapose the new city’s urban demands with the Old City’s ramparts and domed cubes. In the end, each was defeated by Jerusalem. The refugee Mendelsohn never shook the sense that he remained an outsider in an antiquity-obsessed and architecturally polyglot city that resisted modernist innovation. 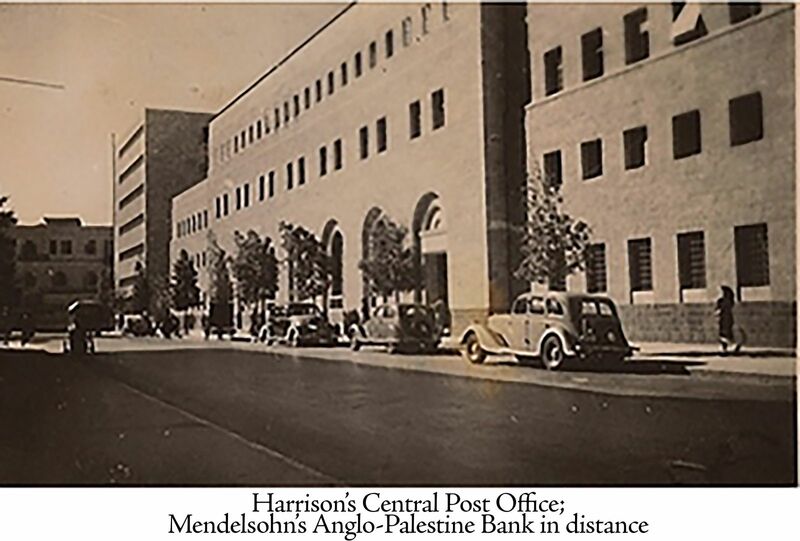 As he waxed ambivalent about whether to stay, one colleague warned him not to behave like a prima donna, “since the only recognized prima donna here is Palestine itself.” Mendelsohn, perhaps too much the modernist to put down roots, left for good in 1941, still protesting “I have never deserted Palestine, nor will I ever desert her ideals.” Self-banished, he would die in San Francisco in 1953. After fifteen years in Jerusalem, Harrison made a hasty exit in 1937, a day after qualifying for his British government pension. Neither his post office nor his museum had yet opened, but he’d grown sick of political propaganda and the violence that a decade later would erupt into Israel’s War of Independence. “I can stay only at the risk of going off my head,” he said. Having destroyed most of his personal papers relating to his work in Jerusalem, Harrison would die in Athens in 1976. Houris died in Jerusalem in 1936, aged 52, uncelebrated and alone. Architects often talk of transcending architecture. Le Corbusier spoke of the “ineffable,” Louis Kahn of the “immeasurable.” But those occupied in the mundane tasks of building cannot afford merely to stare at the numinous. Perhaps these contrary pulls are felt especially strongly in Jerusalem, a metropolis of monotheisms perched not only between East and West, antiquity and modernity, violence and piety, but above all between reality and imagination. There are, in other words, two Jerusalems—transcendent and all-too-earthly—and by interpreting the real in light of the possible the architects whom Hoffman takes as her heroes did their best to bridge the two. 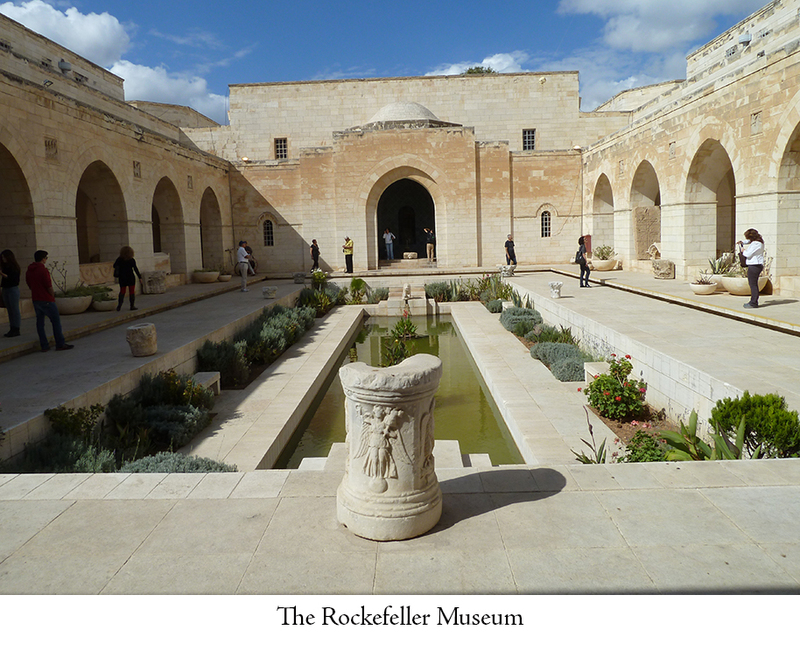 As a meditation on the meaning of the two Jerusalems, and on the distance between things as they are and things as they might be, Hoffman’s triptych offers a welcome introduction.